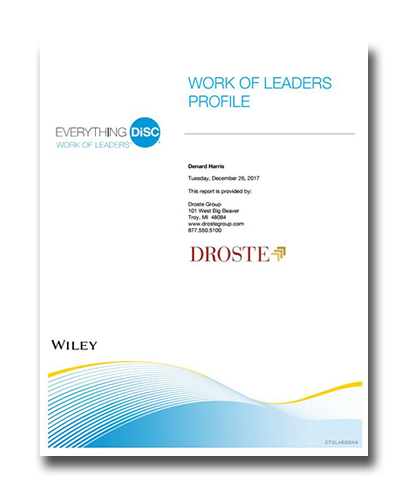 Everything DiSC Work of Leaders® is a classroom training and personalized learning experience that connects unique leadership styles to real world demands. It brings together best practices from 300 experts in over 150 organizations, the important work of the most prominent scholars, and over four years of additional research and development to provide participants with an actionable path toward more effective leadership. With one unified model of leadership—Vision, Alignment, and Execution—it helps leaders understand their own leadership styles and how their tendencies influence their effectiveness in specific leadership situations.